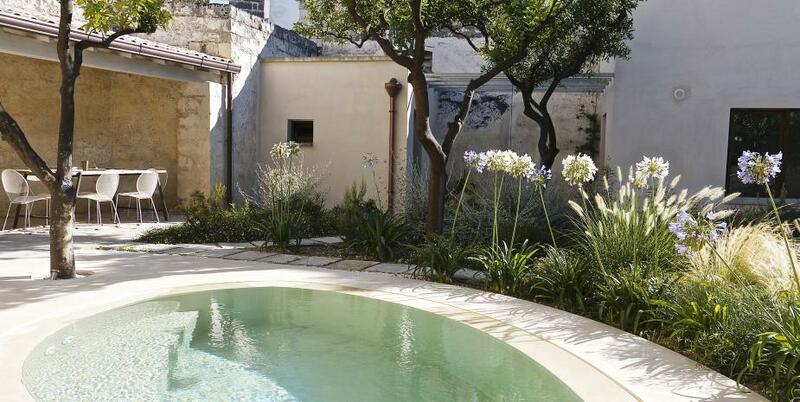 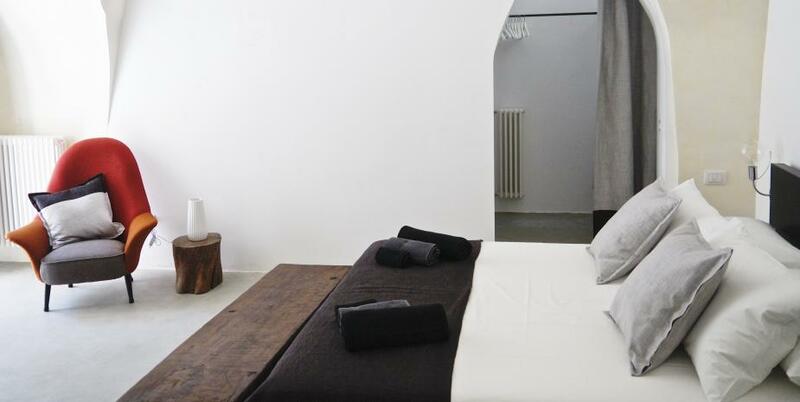 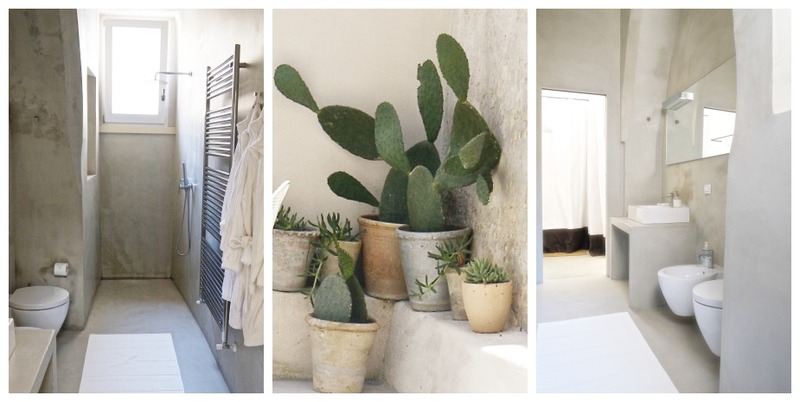 A 17th-century boutique garden house with pool in the heart of Nardò’s old baroque town, comprising of ground floor and first floor living spaces. 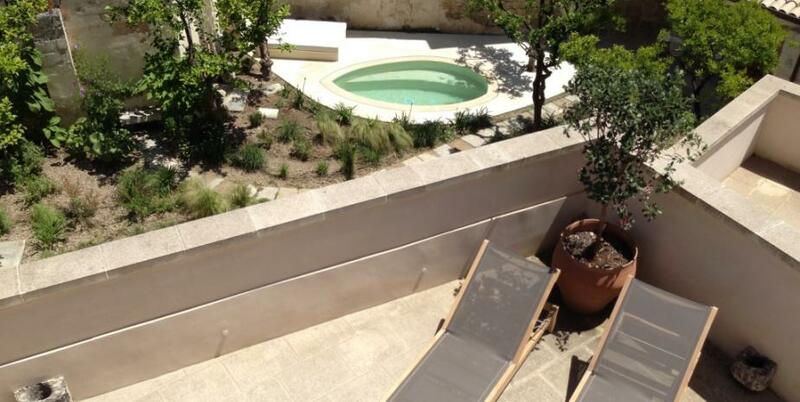 The house sits between two citrus orchards, with patio and a jacuzzi / pool in its own private orchard garden. 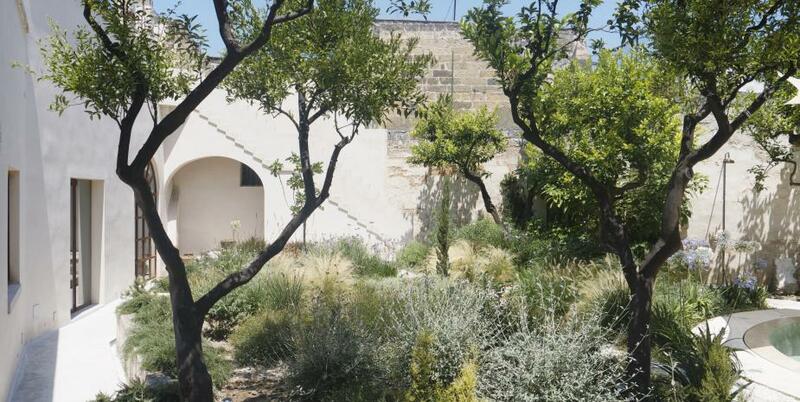 The ground floor opens onto the garden whilst the first floor is surrounded by terraces. 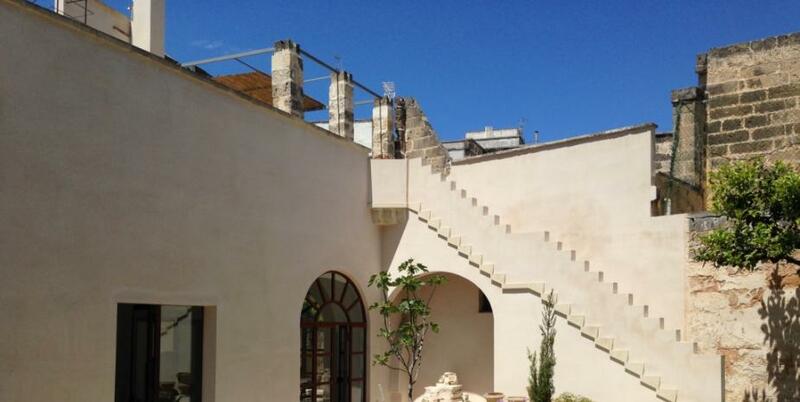 The two living spaces are connected by two separate external stone staircases. 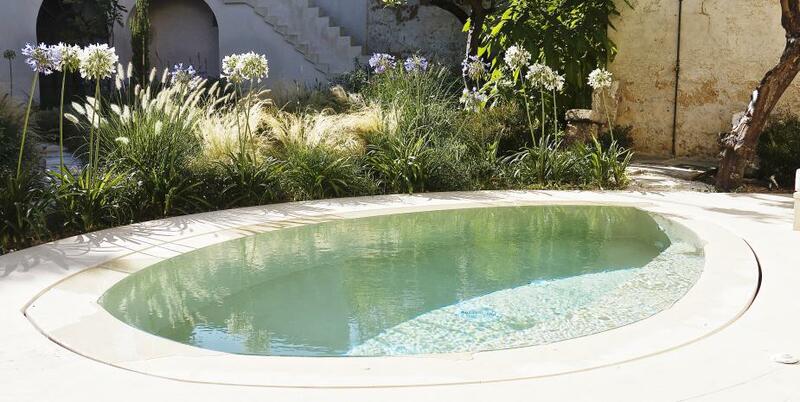 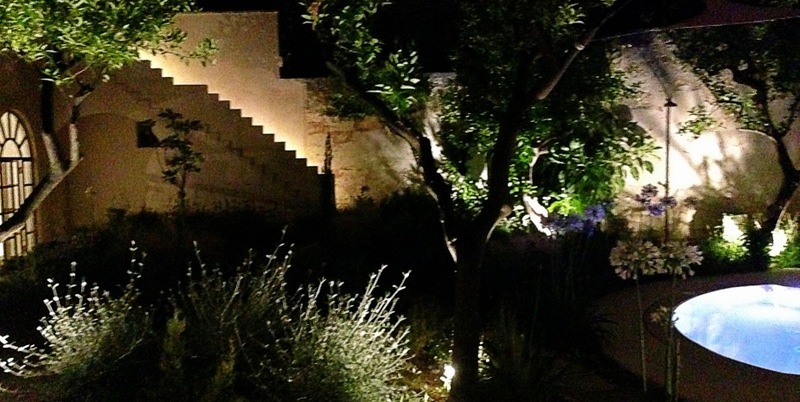 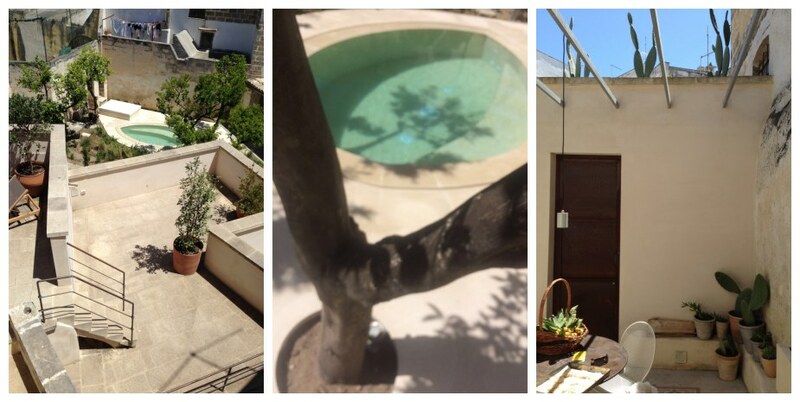 We invite you to discover all the details of this lovely boutique garden house with pool. 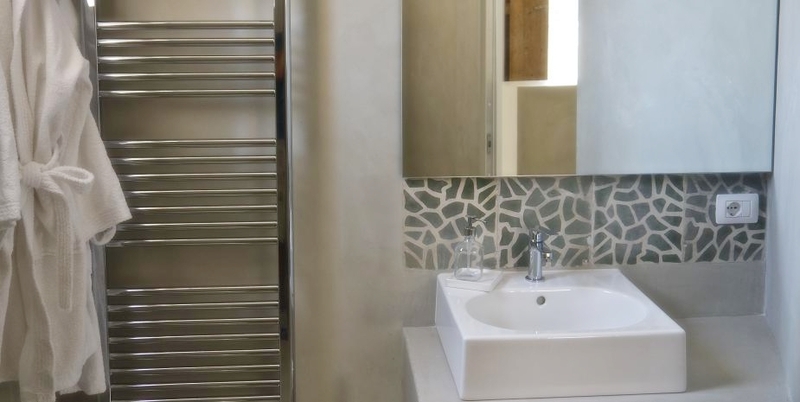 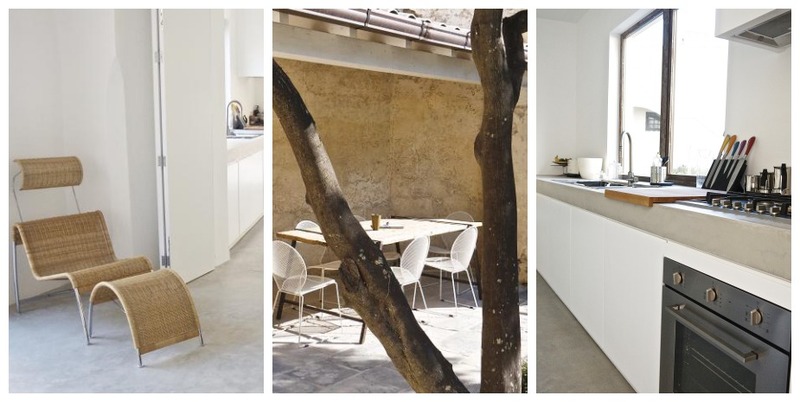 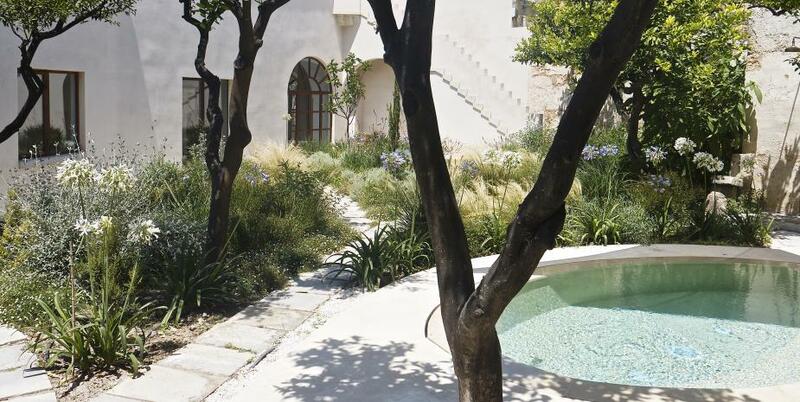 This elegant boutique garden house has been beautifully restored, using traditional and contemporary materials, enhancing the building’s original architectural features such as the vaulted ceilings, stone fireplaces and antique floor tiles, whilst adding freshness and modern comfort. 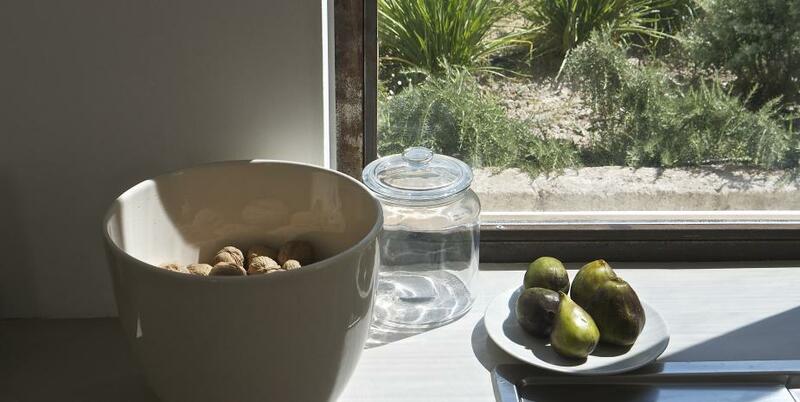 Generous windows fill the rooms with light and offer enviable views across the orchard. 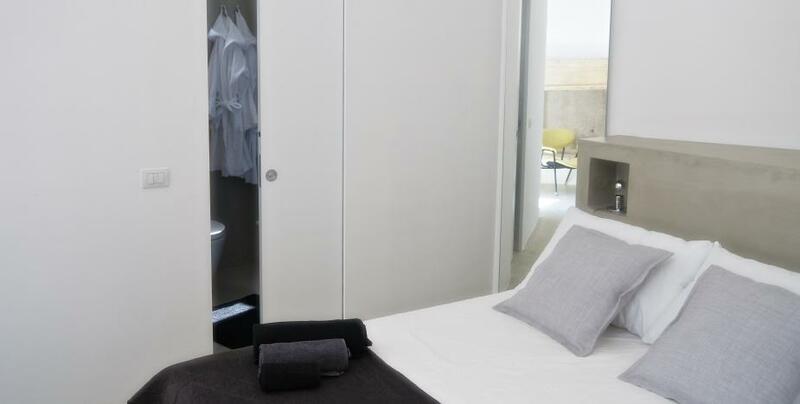 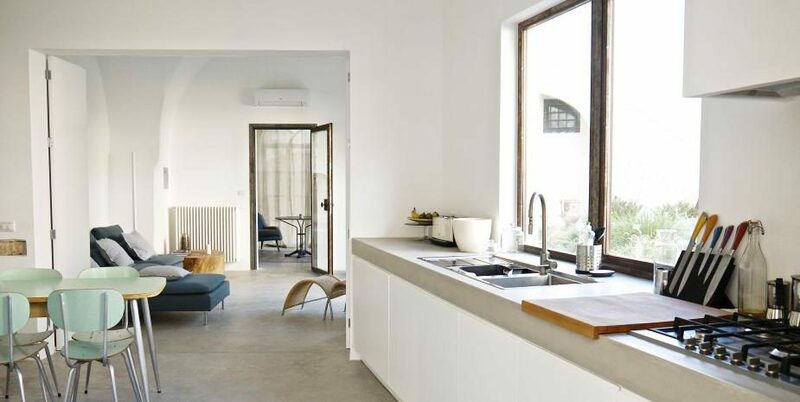 The decor is clean and minimalist created by mixing modern and classic furniture. 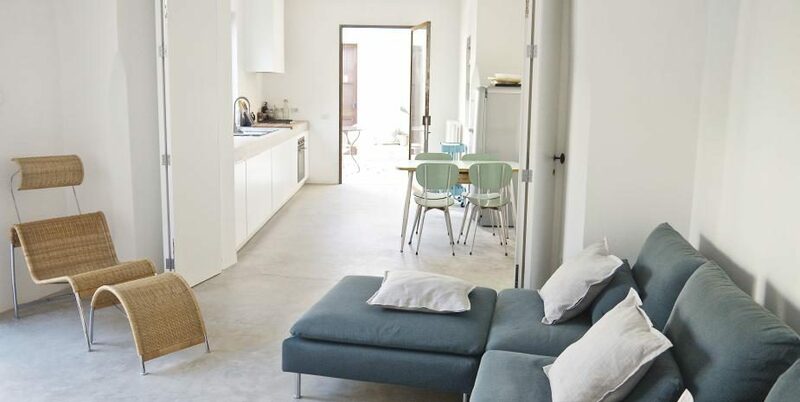 The house sleeps 2-4 people with 2 bedrooms and 3 bathrooms. 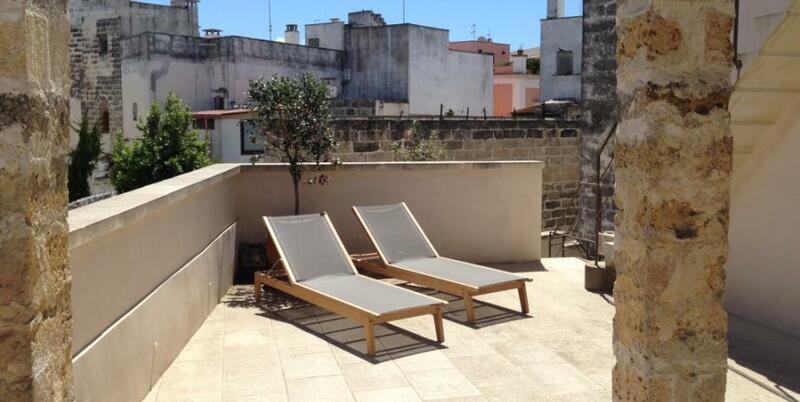 It offers spacious terraces with views across the old town centre and over the richly flowered citrus tree gardens. 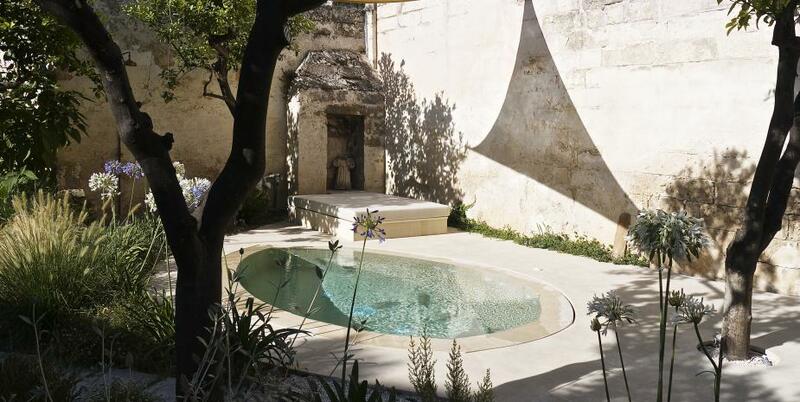 The house also has an authentic recovered woodshed in the garden used as an ‘al fresco’ space for dining and relaxing, and the water in the jacuzzi pool adds an atmospheric focal point both day and night. 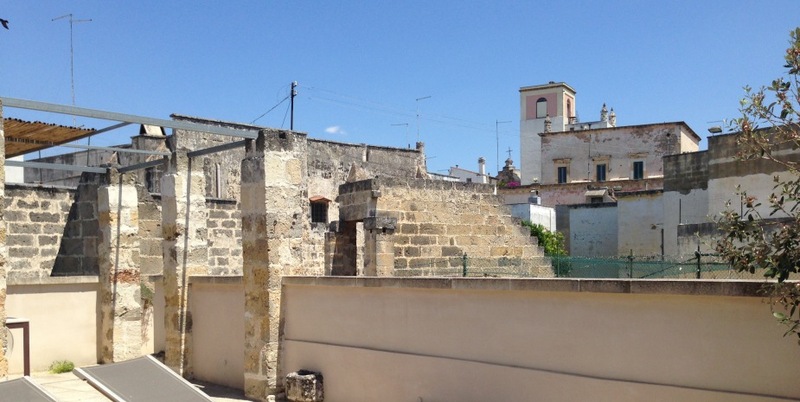 Nardò is just 5 miles from the Ionian sea and a short hop from other historic towns, including Lecce, Galatina, Gallipoli, Maglie and Otranto. Restored in 2015, this 17th century house sits between two authentic historic gardens with old citrus trees and mediterranean flowers and plants. 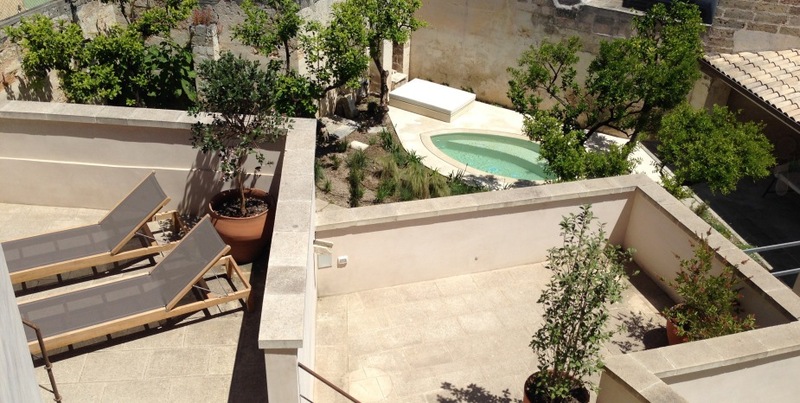 It has south-facing terraces, garden and jacuzzi/pool, with views across Nardò’s old town, with its cathedral, churches, convents, and Baroque palazzi. 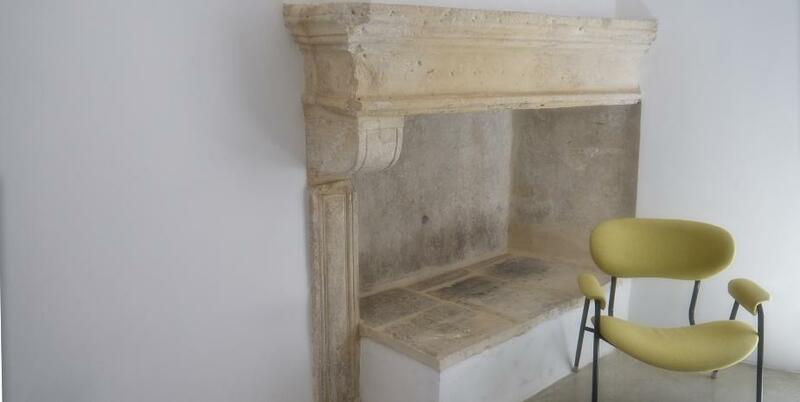 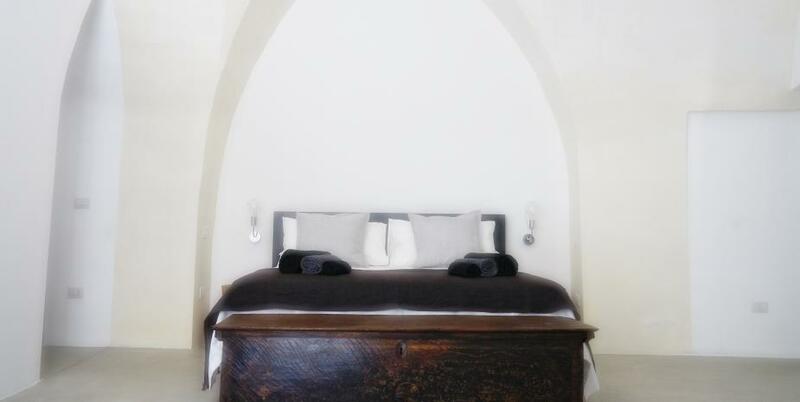 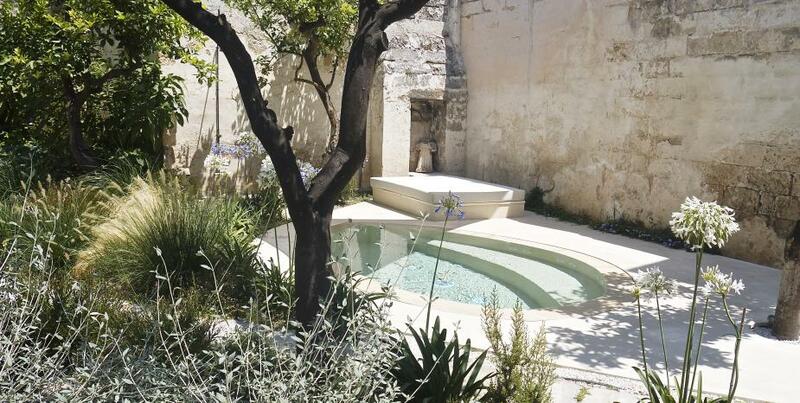 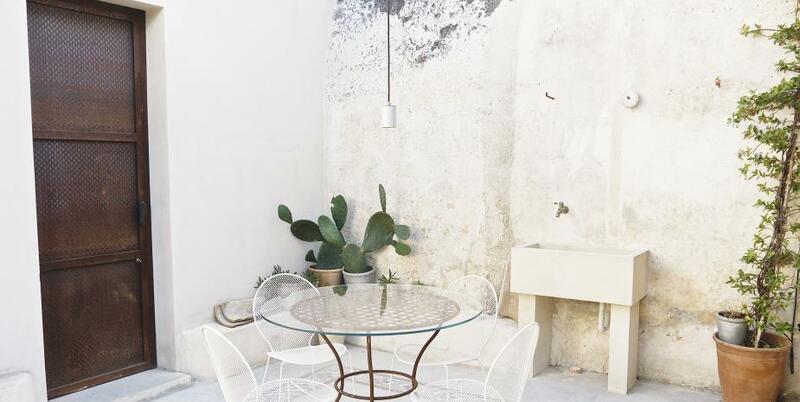 This 17th century old city town garden house in the heart of the beautiful Baroque town of Nardò, the Agrumeto is just a stone’s throw from the Baroque Piazza Salandra and the Castello Aragonese. 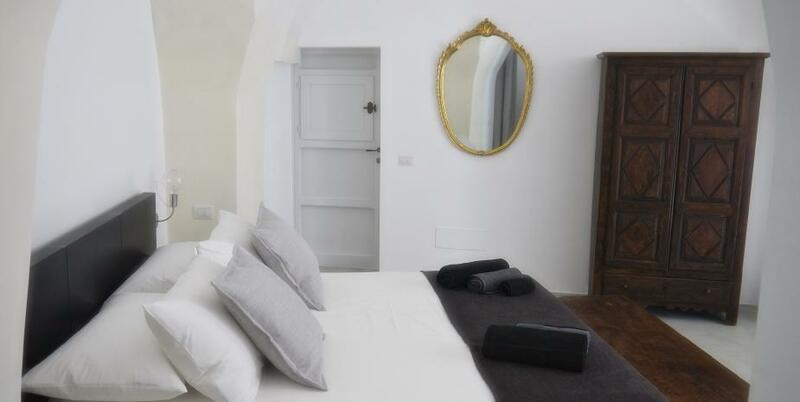 The property was restored in 2015, using traditional materials, to create a space with all modern comforts without compromising the style of the original local architecture. The clean and minimalist decoration and furnishing are a perfect mix of contemporary, vintage and classic, crowned by impressive vaulted ceilings. 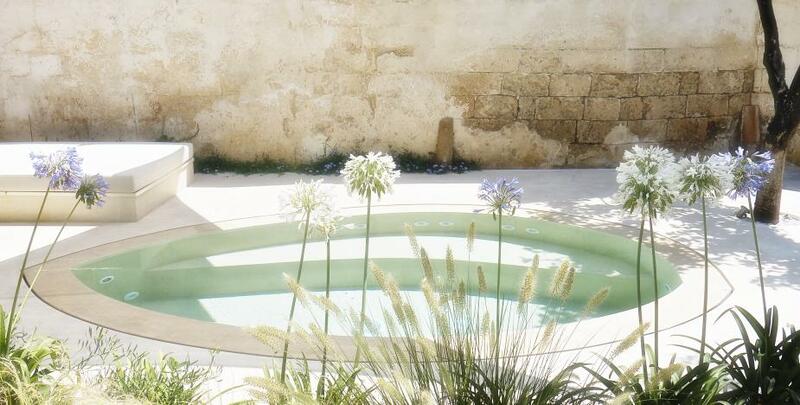 Garden and terrace life: Passionate about flowers and garden? 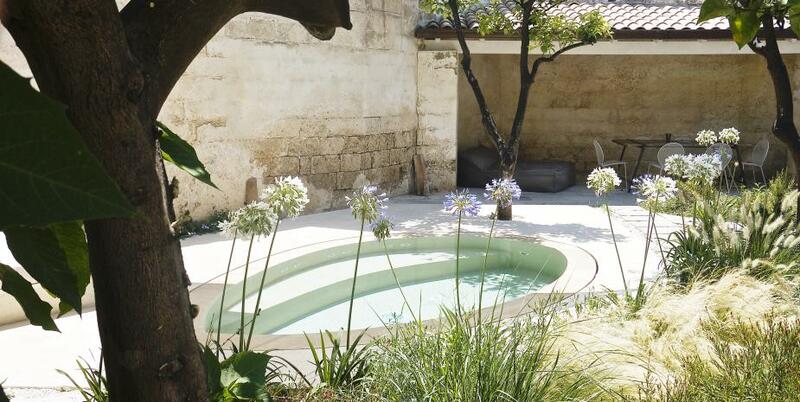 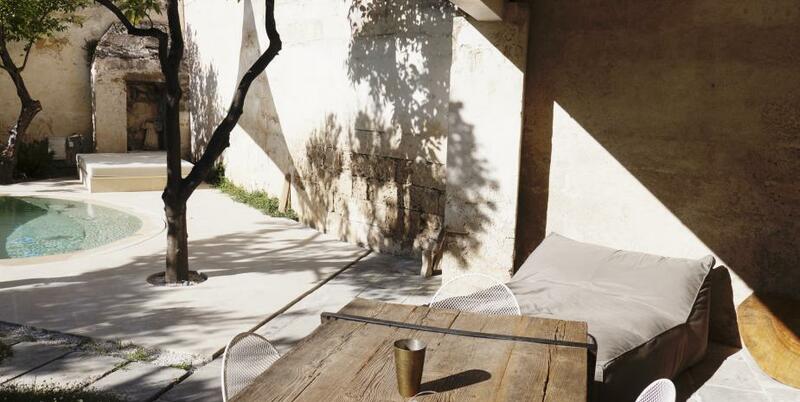 Enjoy this mediterranean garden in all it’s forms: the cool shade of the old woodshed for relaxing and eating, the jacuzzi/pool corner for sunbathing, the terrasses for meditation and aperitifs. 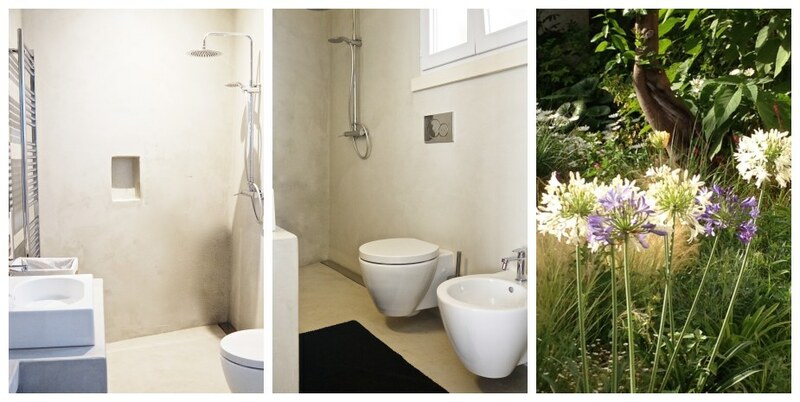 There’s a space or special views to fit every mood at any given moment of the day. 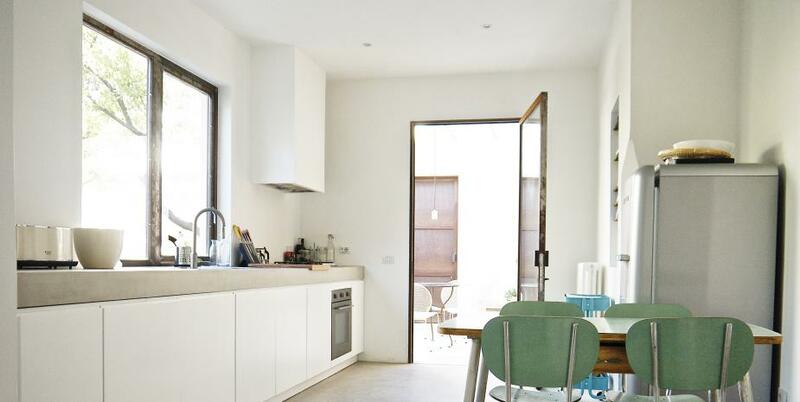 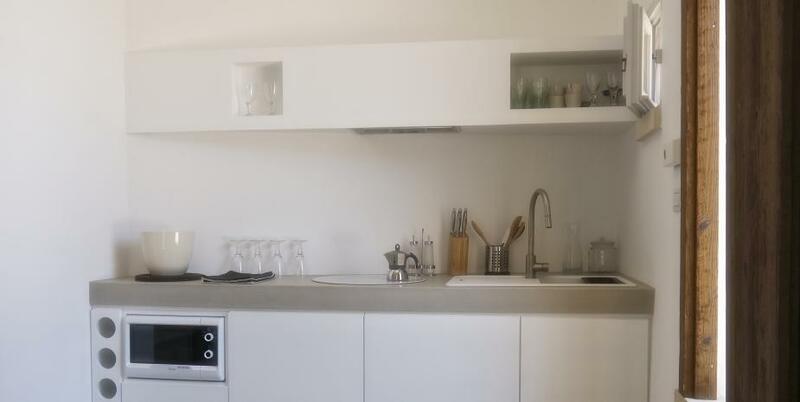 The house has the luxury of two independent fully equipped kitchens, one for ‘al fresco’ dining on the terrace and the other for indoor or ‘al fresco’ dining in the garden. 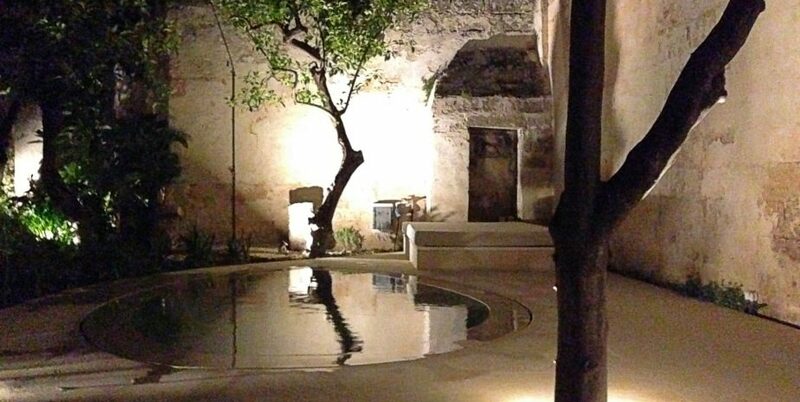 If you prefer to eat out, there are numerous cafes, restaurants, trattorias and pizzerias within walking distance. 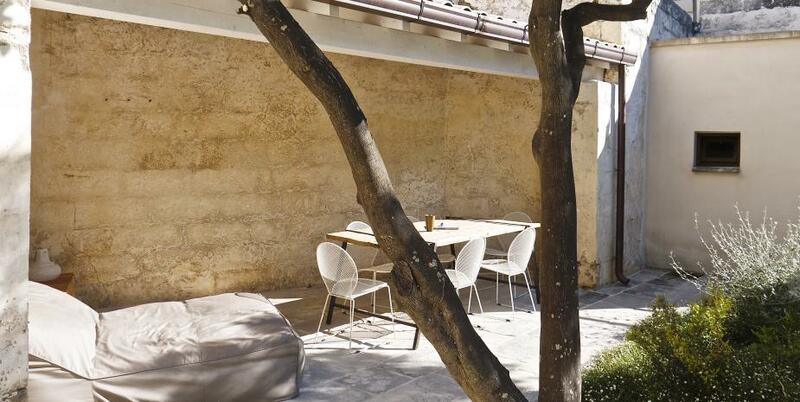 We can advise you on where to shop for groceries, pick up a tasty sandwich, find the best ice-cream and pastries or savour some of the best food you’ll ever taste. 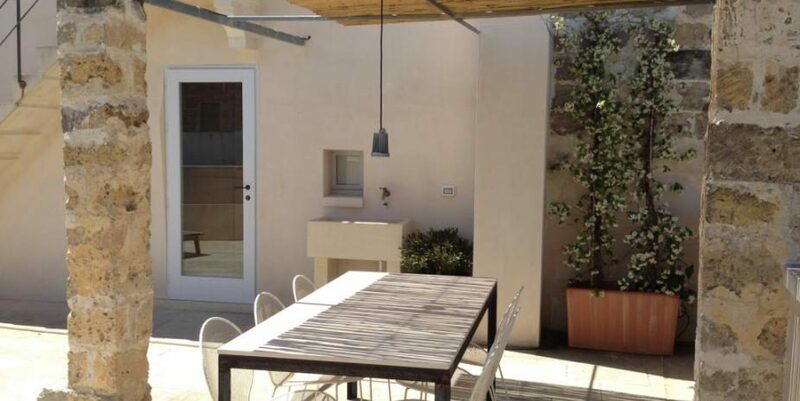 The rental includes the house, its terraces, the garden and jacuzzi / pool, so whether you decide to take breakfast in bed, sip your coffee on the terraces, or have brunch in the shade of the woodshed, it’s up to you.